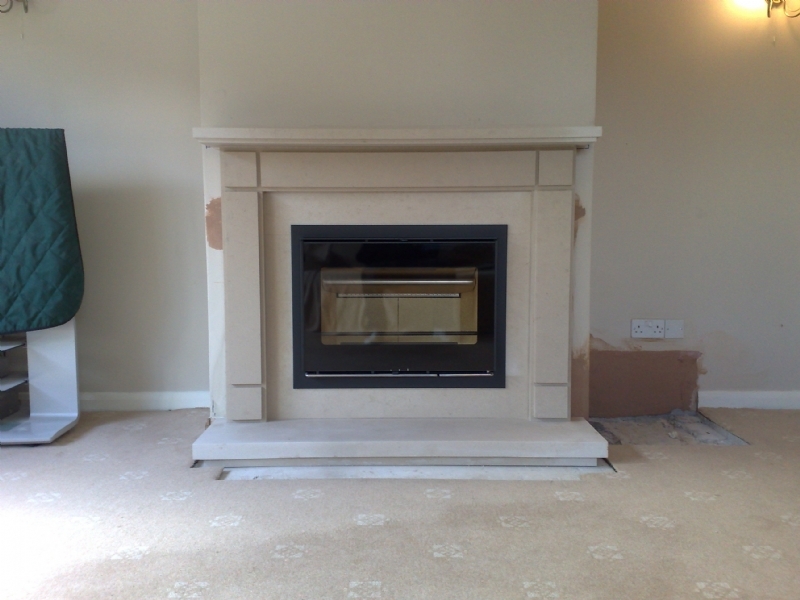 Scan DSA 7-5 in a Wessex Stone mantle wood burning stove installation from Kernow Fires. 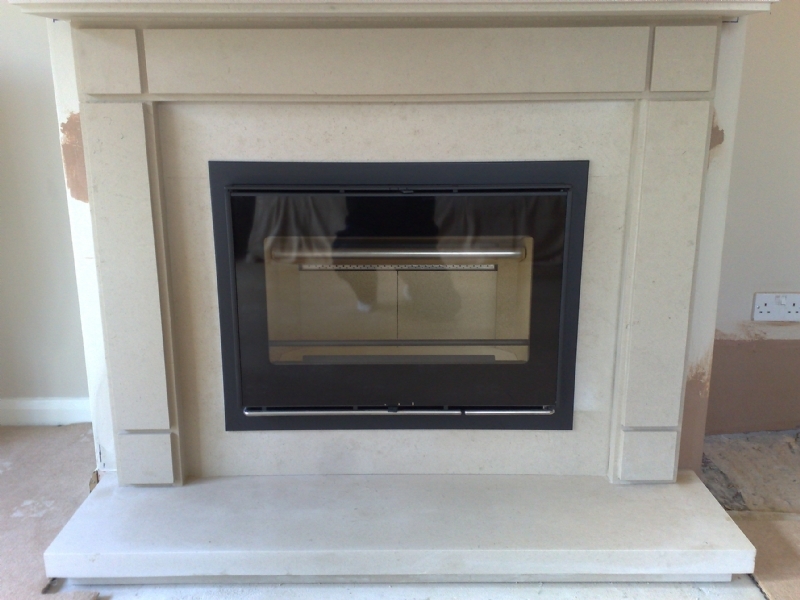 The Wessex Stone Fireplaces are made to order with matching slips and hearth. The slips fitted perfectly to the dimensions given for the Scan DSA 7-5. 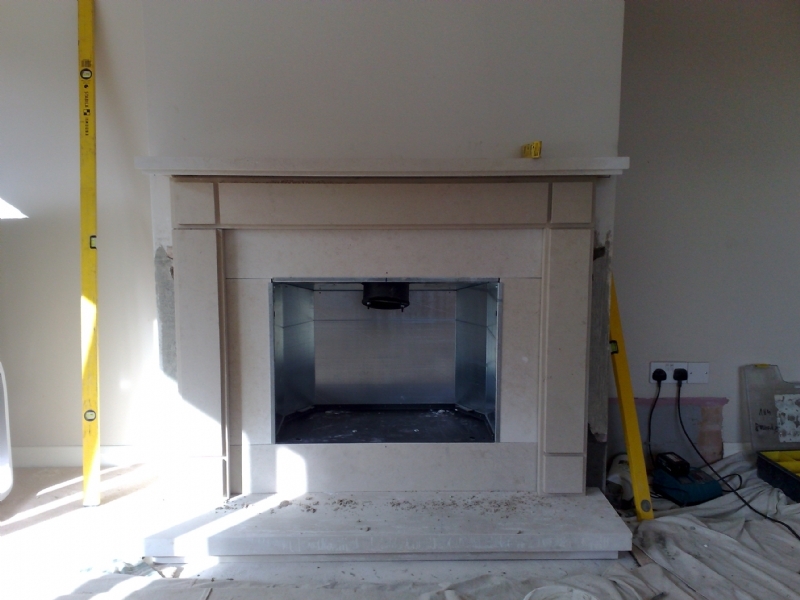 The fireplace itself was adjusted to fit the carcass of the new fire which was then fitted to the new liner.